2016 was a year of major projects on Grace, one which will not likely be repeated in terms of the depth and complexity. That is mainly because she was brand new to us in 2015-2016, and had some gaps in major systems we needed while out on the water. I wanted to recap three of those projects that made the biggest difference through the year, and provide an update on each. 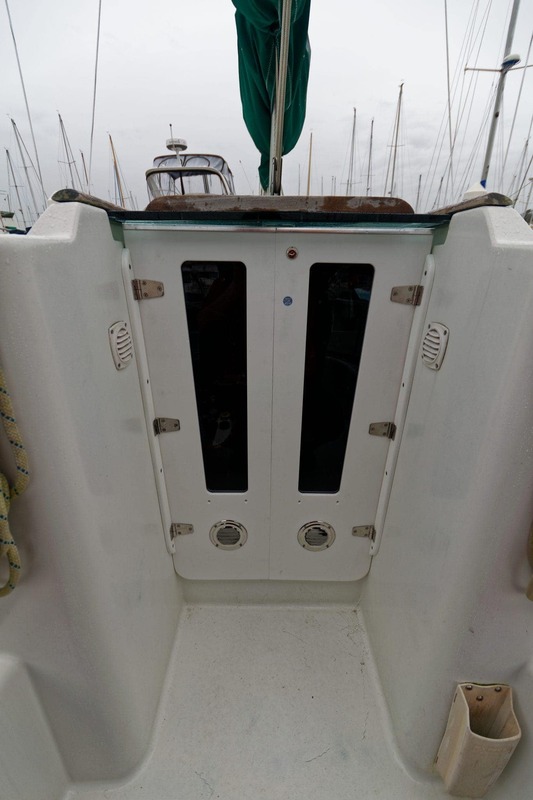 Those projects were Replacing cockpit hatch boards with Zarcor doors, Installing a Wallas heater, and the Power System Upgrade. There were plenty of other projectsthat I completed last year, but these had the biggest impact. The single best project from last year was Replacing cockpit hatch boards with Zarcor doors. Everyone loves how easy it is to get in and out, how quiet they are in the middle of the night, and how configurable they are. Since install, I’ve added bumpers behind the doors on the side of the cockpit entry itself so they don’t bang against the fiberglass when opened, and so they don’t vibrate while under motor. Other than that, they have been rock solid, no issues, no excessive wear, and have been one of the top site queries for people investigating things. Zarcor also featured my review of their product in a prominent place on their site, and I get questions about them at every marina I visit. I highly recommend them to anyone with hatch boards, not just Beneteau sailboats. They are an upgrade well worth the price, and will bring extra value and comfort to your boat. 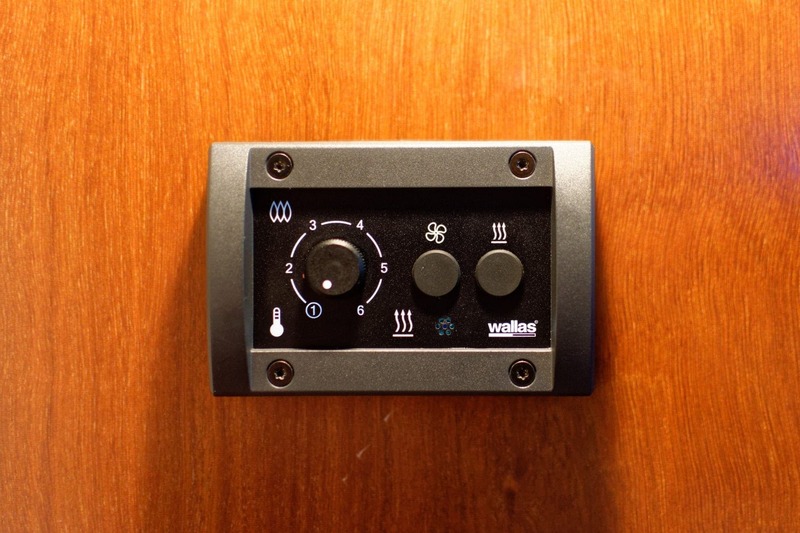 The second most popular project was Installing a Wallas heater, and not for the reasons you think. While we have used it a bunch during this unseasonably cold winter, the true benefit has been in the continuous use of the integrated fan to circulate air through the cabin 24×7. This has allowed us to wake up in the morning to no condensation and fresh air throughout the cabin. In addition, no mold or other nastiness has been present since install. The benefits of having the air exchanged inside the boat constantly are numerous, and I’m actually happier that we installed the heater for this purpose than to heat! Speaking of heat – the system has been tested quite a lot this winter while I’ve been on the boat doing projects, and for a couple of overnight visits. One recent visit was December 31st during New Years Eve celebrations. It was about 20F outside, and the doors were opened and closed a lot while folks went up to watch the fireworks. All during this time, the Wallas kept the cabin at a nice 68F without any issue. Based on the last 6 months of usage, it barely sips on fuel and is still amazingly silent, even while mounted on the bulkhead wall in our stateroom. The only thing I would change with our install is the day tank. While it was a very simple install, I would rather not have to fill a second tank with diesel at random times. Unfortunately the clearance on my normal diesel tank, and access to drill a new tap into it, is very minimal, so I am not sure this will happen any time soon. One of the biggest projects of last year was the Power System Upgrade. This included a complete system redesign and tons of work over months of time to bring a whole new system online. There are many components of the system that help make it amazingly flexible, such as MasterVolt, but the key to the entire system are the Fireflybatteries. The batteries have been absolutely amazing. Their biggest feature is the ability to drain them almost to 0% and still charge them back without damage. This has given me a real 300 amp hour battery bank with rapid charging capabilities. This has enabled us to have more electronics running including a new TV, spend longer times on anchor without having to worry about power, and allowed my crazy network to function longer no matter what we’re doing. 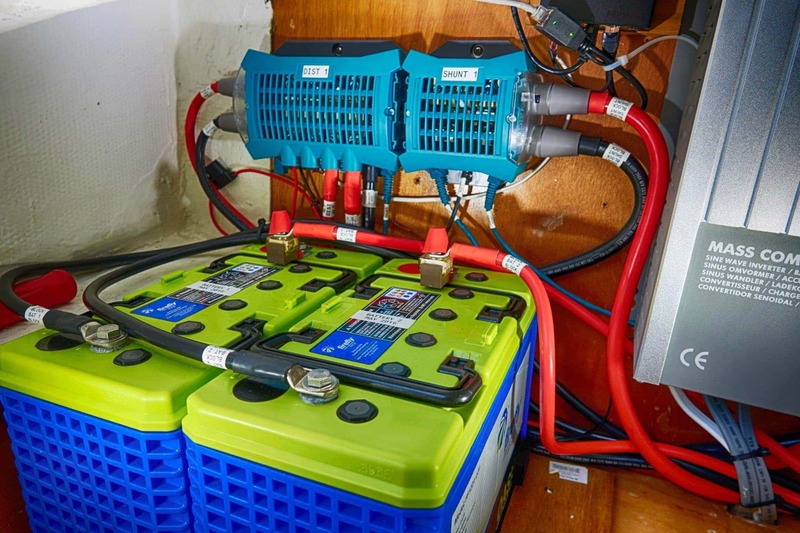 The batteries performance has been flawless – draining them down to 10% and then rapidly charging them with the new alternator and charger. I’m still amazed at how well they work! I still have more documentation and posts to complete this year on the power system itself, particularly around the MasterVolt configuration and details. Overall, 2016 was a year filled with big, impactful projects, and I love the results. Here’s to even bigger ones in 2017.